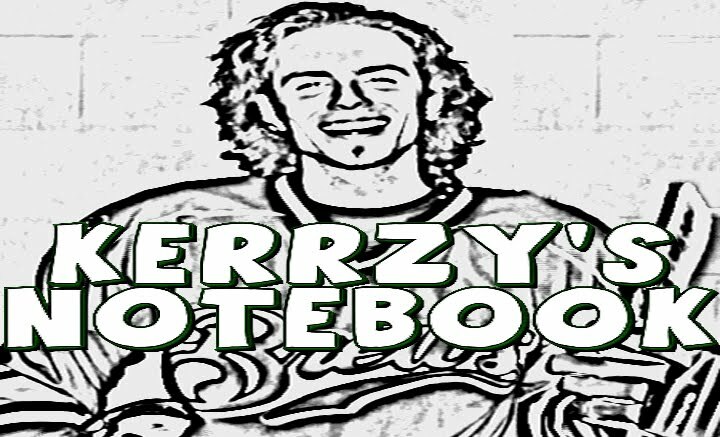 Kerrzy's Notebook: The Winnipeg Thrashers? While the dust settles in Glendale, Arizona, the work is far from over for the National Hockey League ahead of the 2011-12 season. A day after Glendale city council was able to “thrash” out a deal with the NHL to keep the Coyotes at Jobing.com Arena for at least another year, the league’s focus now shifts to the other side of the country and another situation where relocation could end up being the only answer. Despite what has to be seen as an ‘encouraging’ on-ice product, the group that owns the Atlanta Thrashers remains desperate to sell the club, even if it means a change of scenery for Byfuglien and the boys. It’s been fairly quiet on this front in recent weeks, but with the Coyotes now staying put, it seems reasonable that we should be expecting some movement one way or another right away here. Wondering how the Atlanta situation differs from the one in Glendale? For one, there won’t be a city bailout in Georgia. A spokesman for Atlanta mayor Kasim Reed told the Atlanta Journal-Constitution on Wednesday that they won’t even consider a setup with the league like what they’ve got going in Arizona, where the city is basically “renting” the team. That’s a far cry from the $25-million paid to the NHL (with another $25-million on the way) by the city of Glendale to help cover the team’s losses! Another key difference is in the team’s home arena. The Coyotes are the lone tenant of Jobing.com Arena, which would be left empty if they skipped town, whereas the Thrashers share Phillips Arena with the NBA’s Hawks and the WNBA’s Dream. There might be some money lost with one fewer tenant bringing people to the building, but it wouldn’t be nearly as bad as what would happen in Glendale. The third big difference we’re looking at here is the price of the teams: Forbes blogger Mike Ozanian reported last week that the owners of the Thrashers are asking for $110-million, despite the franchise being valued at closer to $135-million. The Coyotes, on the other hand, are looking for something in the range of $170-million. Ozanian says True North Entertainment and Sports, the group that wanted to move the Coyotes to Winnipeg, is prepared to make an offer for the Thrashers, which will include a $60-million relocation fee. I suppose the final difference is the lack of pride at stake for the NHL when it comes to Atlanta. If, after all this time, the Coyotes were forced to leave Arizona with their tails between their legs and move back from whence they came, the league would look kind of stupid. There’s no stigma related to a potential move out of the ATL. It’s always tough to see a city lose a pro sports team, but it won’t hurt as much in Atlanta, where the Braves, Falcons and Hawks will still be there to keep sports fans occupied and they won’t leave behind an empty barn. If True North acts quickly, my gut feeling is that this one will be quick and painless. They’ll have to get a move on though, because there are some obvious issues to sort out in Winnipeg before an NHL team can move in. The rink needs some work, there’s an AHL team that will need a new home and I can’t even imagine the amount of administrative work that would go into getting things set up for a season that starts in less than five months! 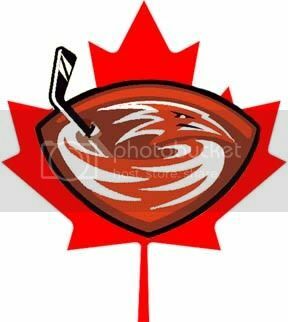 What do you think: Will there be NHL hockey in Winnipeg when the puck drops on the 2011-12 season?